A drain field problem is inconvenient at best and hazardous at worst. Septic systems are made of two major components, the tanks themselves and the drain fields. Wastewater from your home’s many drains flows first into the septic tank, where solid wastes separate from liquids and stay in the tank to be broken down further. From there, liquid flows on into the drain field, which is made of many gravel filters and perforated pipes, and undergoes additional filtration. 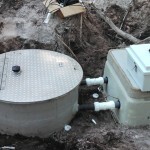 This second round of filtration minimizes the potential negative effects of graywater as the drain field allows the water to seep slowly, and safely, back into the ground, where it ultimately rejoins the local water system. If drain fields become damaged or worn out, they can pose serious health risks to you and your family members. 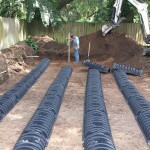 If you notice foul smells in the area surrounding your septic tank or drain field, or if that spot is suddenly sporting greener grass or pools of water, it’s likely that you have a problem with your drain field. 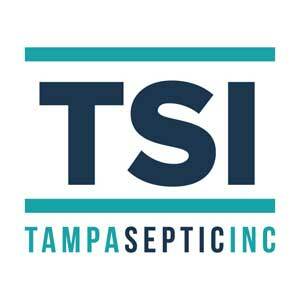 In these circumstances, you should call our team at Tampa Septic as soon as possible to come inspect the problem. At Tampa Septic, we have years of experience dealing with all manner of drain fields and drain field emergencies. 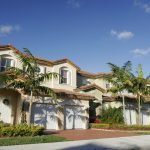 We are proud to serve the Wesley Chapel, Florida community, and our experts can help you keep your home’s septic system operating in top condition. We can tackle any drain field malfunction and schedule regular maintenance and inspections to catch any additional problems before they become dire (and expensive). 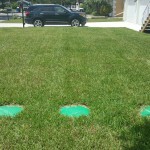 If you want to learn more about how to keep your drain field in good shape, call us at Tampa Septic today.